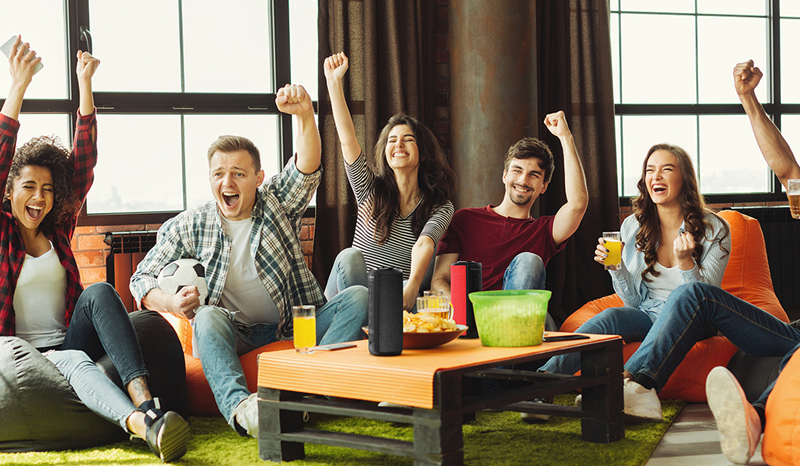 In July of 2017, Tronsmart released a highly popular 360° surround sound Bluetooth speaker called the Element T6. 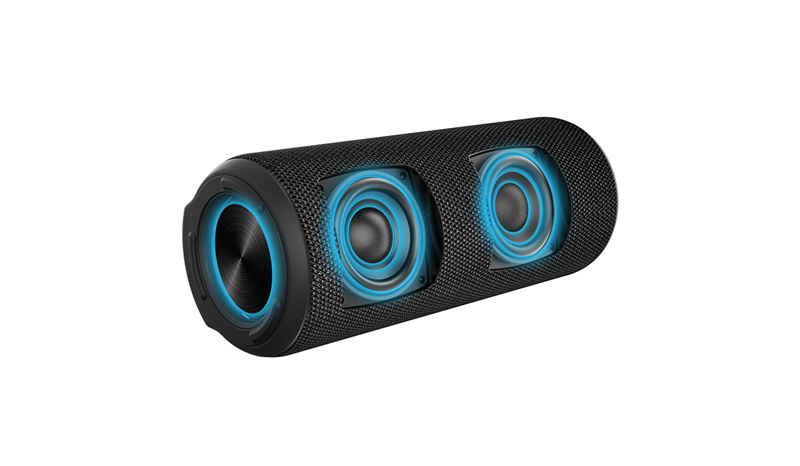 The Element T6 revolutionized the portable Bluetooth speaker industry by increasing sound performance while decreasing the size of the speaker. If you listen to the Element T6, it is hard to imagine that a speaker of that size could sound any better. 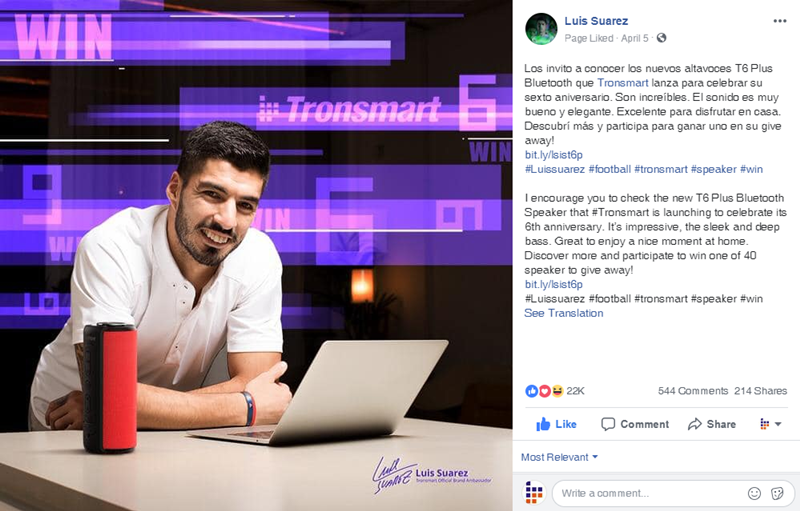 The following year, Tronsmart signed the famous football star, Luis Suarez, as their official ambassador. Luis was highly impressed the performance of the T6 and he really liked the sleek design and deep base. Needless to say, Suarez is looking forward to the next generation of the T6. 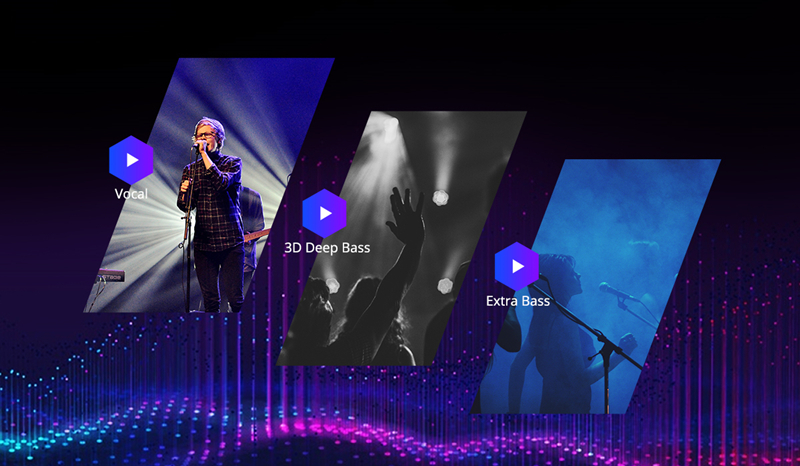 In April of 2019, after 20 months of hard work, the Element T6 Plus will be available just in time for Tronsmart’s 6th year anniversary. Suarez published a post for T6 Plus on his social accounts and invited his fans to check out this new speaker. So what makes this speaker so special? People are raving that the T6 Plus has great ascetics, is conveniently portable yet highly durable, and offers an unprecedented listening experience. The Element T6 Plus inherits the classical identity of the original T6. With a portable cylinder shape and volume control wheel at the top, the Element T6 Plus not only looks great, but is also incredibly easy to use. The T6 Plus was built for the common outdoor enthusiast. 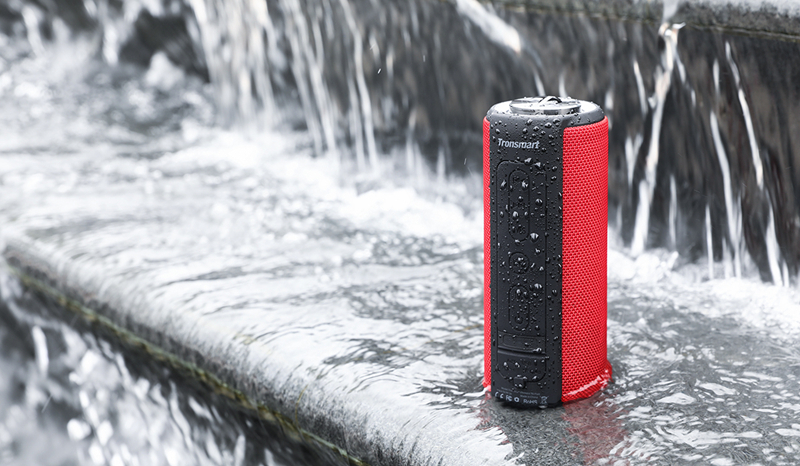 It has an IPX6 water-resistant rating which means it can be brought to the beach or pool without any worry of water damage. An IPX6 rating also means it is protected from dust damage, which makes the T6 Plus a great companion for more adventurous endeavors such as hiking or mountain biking. 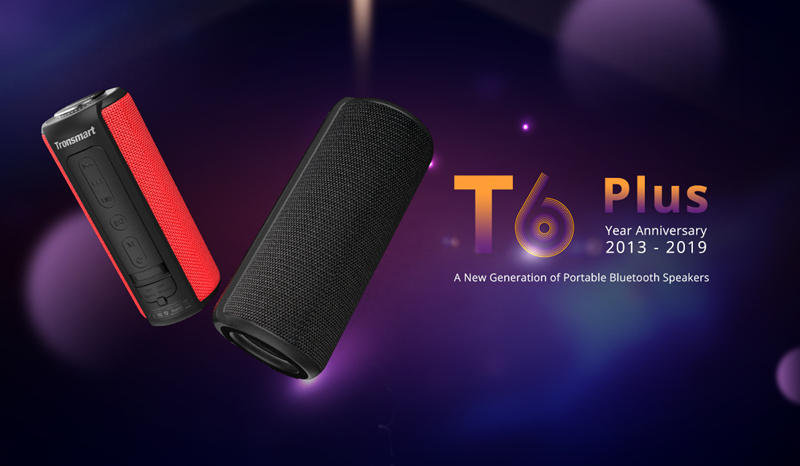 Aside from great aesthetics and improved durability, the true innovation of the T6 Plus takes place inside the speaker. 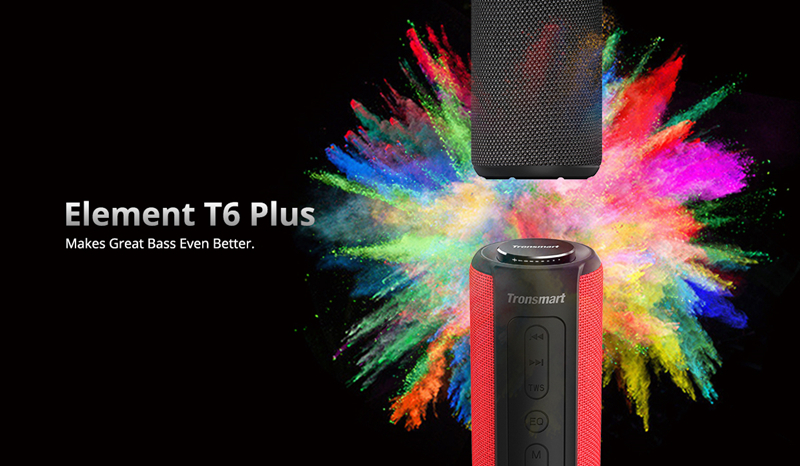 The T6 Plus is equipped with Tronsmart’s patented SoundPulse™ technology. 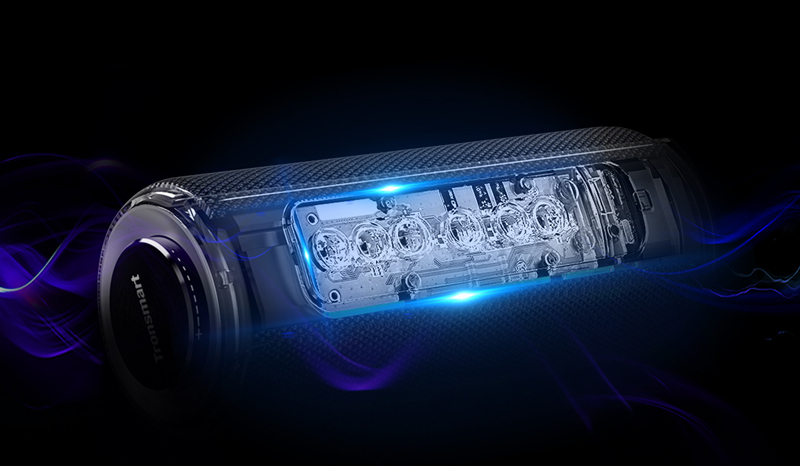 This technology enables the T6 Plus to deliver a max output of 40W while deepening the bass and making the vocals more distinct. The Element T6 Plus has two dual passive radiators and two 20W full-range speakers, which enhance the low-end vocals and deepens the base even further. 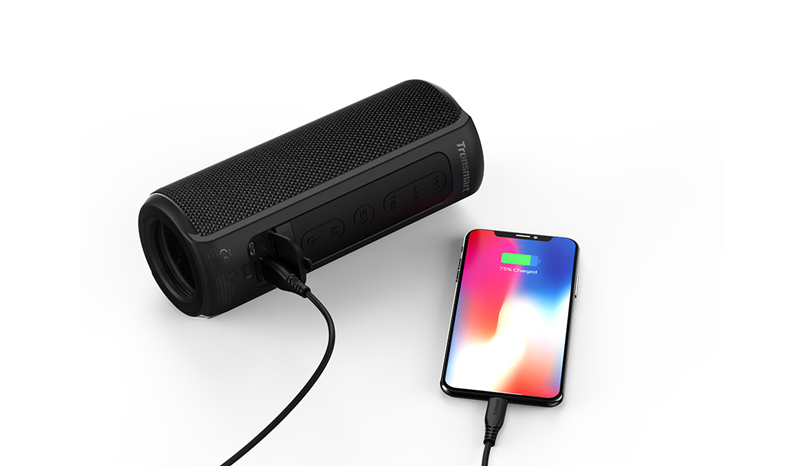 This perfect combination of powerful hardware and advanced software allows the T6 Plus to outperform all other Bluetooth Speakers of similar value. 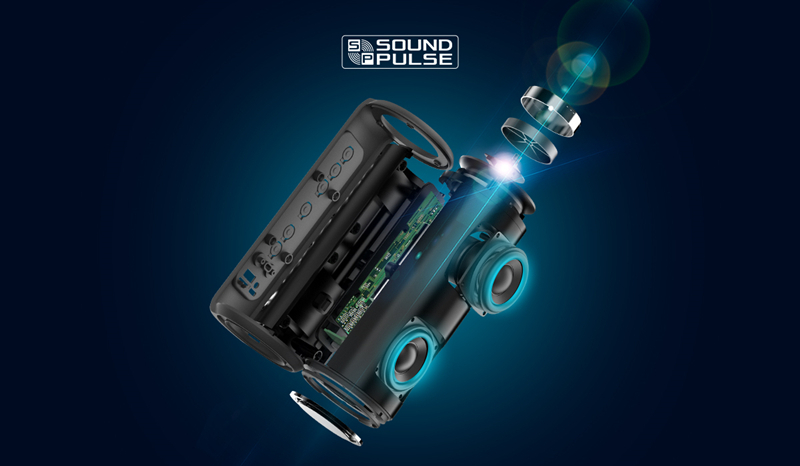 One of the most notable upgrades on the T6 Plus is the True Wireless function; which allows two T6 Plus Speakers to pair together for double the bass, double the sound, and double the fun. Moreover, the T6 Plus has three EQ (Equalizer) modes that allow for customized vocal output suitable of all music genres. The T6 Plus has also been upgraded to Bluetooth 5.0, offering faster connectivity, more stable connection, and better range. The last major difference from the original T6 and the T6 Plus is battery capacity. 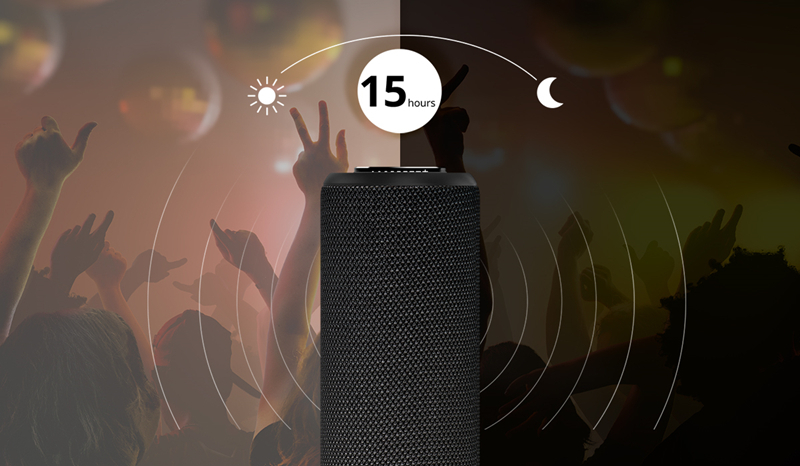 The T6 Plus has an enlarged power cell that offers 15 hours of play time! It also has an in-built power bank that can charge mobile devices. 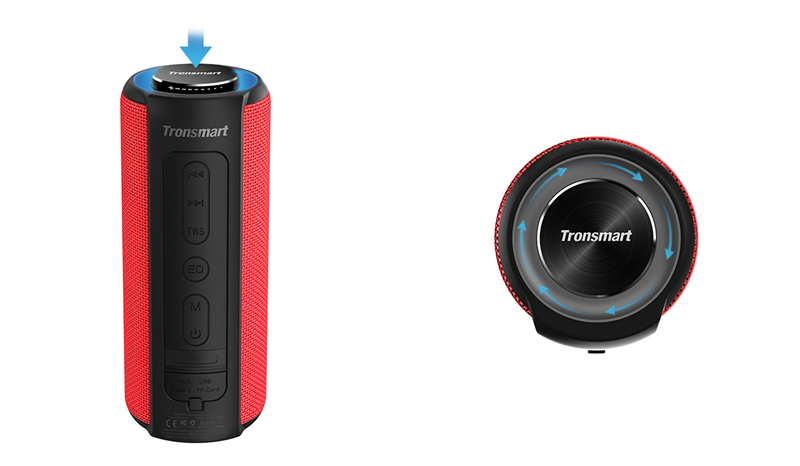 Tronsmart T6 Plus - A New Generation of Portable Bluetooth Speakers that Makes Great Bass Even Better.